Happy Doomsday (aka, Election Day)! Now that this day’s finally here, I hereby officially add my name to list of millions worldwide who are excited to see this cosmic joke of an election cycle come to an end (or at least the beginning of an end). 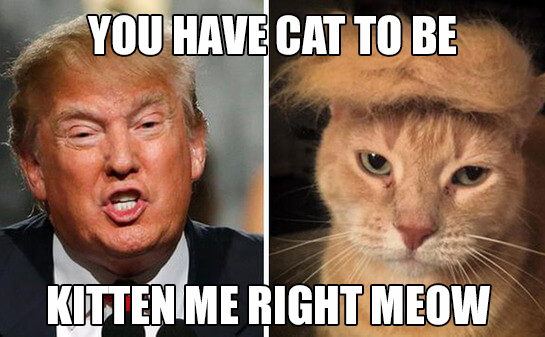 Sometime tonight, America will have a new president. Don’t freak out. This has happened several times before and will happen again. Sometime tomorrow the sun will come up again. The sun has been around longer than presidents. Longer than people, even. There are more important things than a single day, a single president, or even politics in general. Like people, and caring about people. Last night I watched a fascinating documentary on prehistoric “megaliths,” giant Stone Age monuments constructed from huge stone blocks by our distant ancestors. They were built from 9500 to 1200 BCE and are found across Europe, Asia, Africa and America. 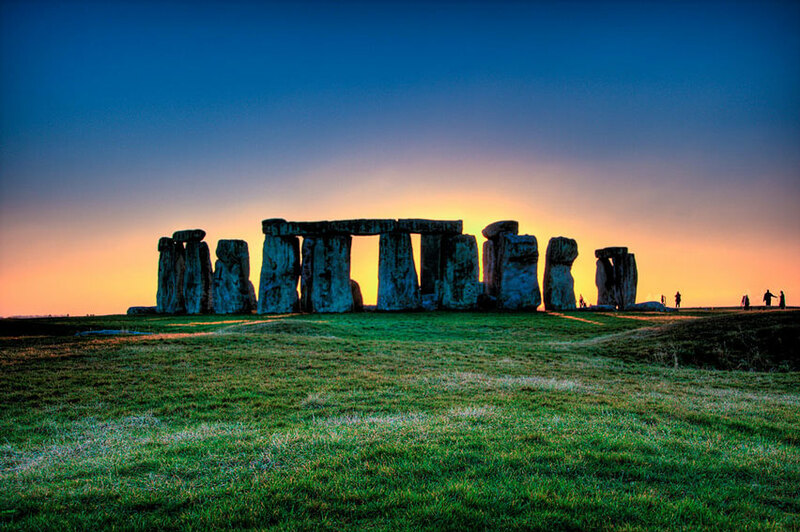 Stonehenge is the most famous of the structures, but there are more than 40,000 others worldwide. The amazing thing is that no one can figure out exactly how — or even why — these things were built. Some were used as tombs, some for astronomy and some for religious purposes. But why would our ancestors go to such extraordinary lengths to build enormous monuments that would outlast them by thousands of years? Our ancestors thought BIG. Some of these monuments are over 300 feet across and 100 feet high. They were meant to be seen from great distances and to last for a very long time. Our ancestors were much more talented than we thought. The detailed engineering and sheer force required to move such massive stone blocks is impressive. The largest stones weighed over 300 tons, which would strain today’s largest earth-moving machines. Our ancestors focused on things BIGGER than themselves. They understood that humans were temporary and that time and the earth were not. They used the height of their intellect to create things that would help people focus on bigger things, like their future generations, their gods and their place in the world. Sure, they were primitive, but — unlike many of us — they took the long view. They put a great deal of time, thought and effort into focusing on things beyond their daily worries. While I was thinking these big thoughts this morning, I ran across an article covering “groundbreaking” research that shows our subconscious minds shape our reality. Really? I’m no scientist, but I would have thought this question was settled centuries ago. Still, now that it’s scientific fact, maybe we can all accept that what we focus on matters. Our brains, which we now know are very moldable organs, can be trained and shaped. What we think is what we become. Our thought patterns and habitual emotional reactions guide our actions. While much of this is unconscious, we have the ability to bring those thoughts into consciousness by using our awareness, and by practicing positive habits like mindfulness and meditation. So given this good news, my question for the day is: Will you wallow in negative thought or will you choose to bring positive change to the world? Think BIG. A single election is a little thing. Take the long view. Think about things that generate awe and remind you of the important things in life. What you focus on matters. Avoid negative thinking. Think positive thoughts because they lead to positive change. This too shall pass. Today’s politics will pass. Today’s worries will pass. We’ll have another chance to freak out about politics in four years, so give yourself a breather. Thanks for the reminder, Lee. Let go of the need to hold on. Let go of the worry about just one day or one election cycle. The universe has bigger things in store. Focus on the things that matter. Have a great Doomsday, everyone! PS: My prediction is that Clinton will win and that it won’t even be close. But what do I know? 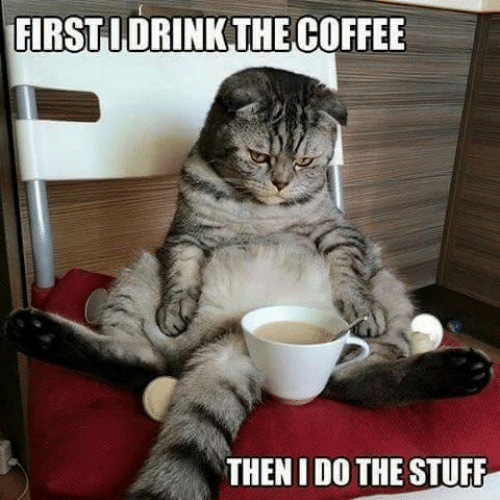 Either way, there will still be coffee and cat memes tomorrow.